Back In Motion accepts most insurance plans, and our list is growing everyday. If a company is not listed here, we would be be happy to call the patient’s insurance company to determine their eligibility. If a patient would like to pay for services out-of-pocket, we have discount rates set-up to make our services affordable for those patients in need. Depending on the complexity of your condition, treatments can cost $60-$90 per session. Most patients get better within 6 sessions. 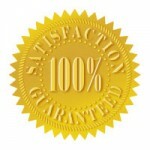 *We accept the contractural rates (When Applicable). The list of Insurances that Back In Motion, Sarasota Physical Therapy participates with is growing at a rapid pace. If you do not see your insurance company listed on this page, simply give us a call and we will check it out for you!! Back In Motion is PROUD to be an EXCLUSIVE provider for our US Veterans. We are providers for Humana Military, Tricare & VA. Many Veterans believe they have to travel up to Bay Pines to receive therapy, but they are mistaken. As long as they have a Doctor’s Prescription and receive authorization, they can come to Back In Motion to have Physical or Occupational Therapy Services, as we are listed as a preferred provider in Sarasota, FL. The VA will cover Therapy Services at 100%.